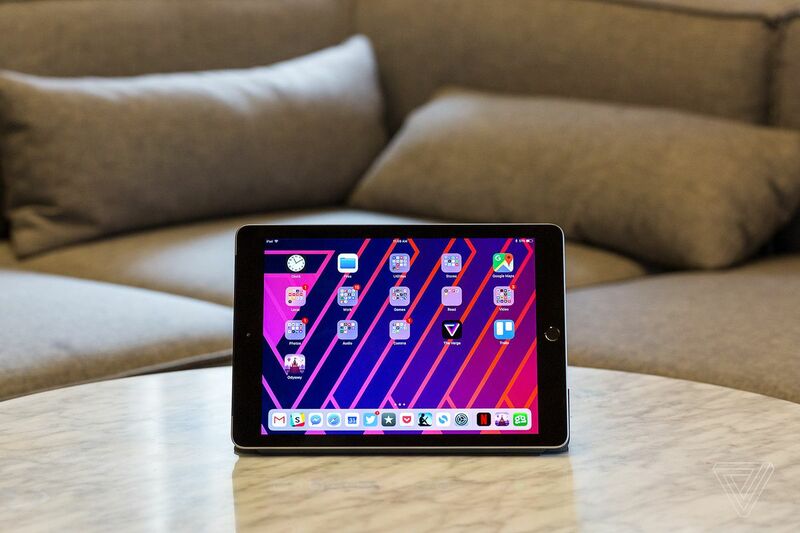 Whether you’re shopping for your first iPad, or upgrading from a previous generation, figuring out which Apple-made tablet is best for you can be confusing. That there are a bunch of models out there make it hard. That most of them look similar makes it even more difficult to shop with confidence. Currently, Apple sells five different models. In order of most affordable to most expensive, there’s the 9.7-inch iPad, the new 7.9-inch iPad mini, the new 10.5-inch iPad Air, the 11-inch iPad Pro and the 12.9-inch iPad Pro. Thankfully, your odds at picking a good tablet are greater than 1 in 5. Each of them is a really good tablet in its own way, but it’s important to find the right tablet for you. What does the “right” tablet mean? A lot of things. The right size, the right price (and not paying more or less than you should), the right amount of power, and compatibility with the right accessories. The more that you know about each iPad model ahead of buying, the better. So, we’ve laid it all out, drilling down and explaining each tablet’s biggest selling points and drawbacks, starting with the most affordable option. Apple’s 9.7-inch iPad is the no-frills option, but don’t mistake that for meaning it’s a bad tablet. Starting at $329 for the 32GB model (though frequently up to $80 off these days,) this is the most affordable way to get an iPad. 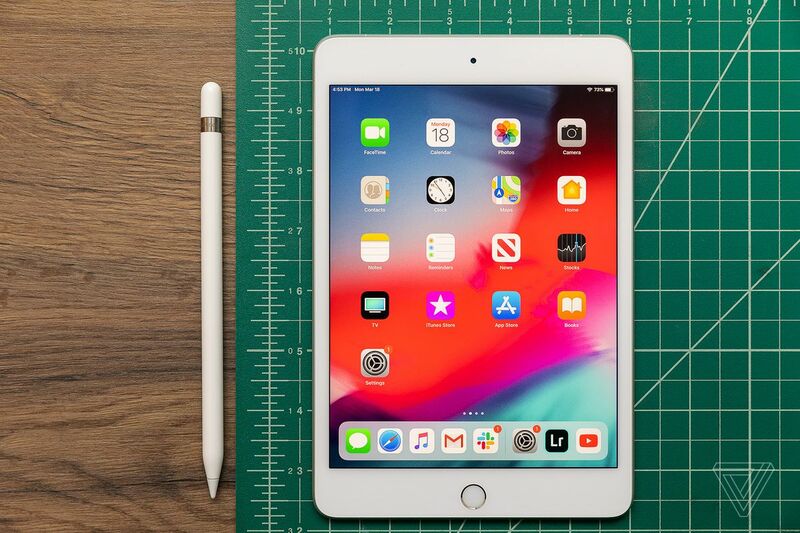 The sixth generation is the latest of Apple’s longest-running iPad models, and it doesn’t offer any standout features that you won’t find in the other models. Conversely, there isn’t a huge amount that this model can’t do compared to the more expensive iPads, though the differences might matter to you, depending on your needs. Both this model and the new iPad mini are the only iPads that lack the Smart Connector, a hardware connector that makes it easy to connect a keyboard. Connecting over Bluetooth isn’t that much of a pain, but if you type a lot, it might be worth opting instead for the $499 iPad Air, the most affordable iPad with that feature. The device is built with outdated components — for example, it’s equipped with the same A10 Fusion processor found in the iPhone 7 and iPhone 7 Plus. However, if you keep your expectations in check, it should deliver relatively good performance for the next few years. This iPad was the first (outside of Apple’s iPad Pro lineup) to receive first-generation Apple Pencil support (though all of them now support one of two versions of the stylus). You can use either the first-generation Apple Pencil or the Logitech Crayon to draw or write on the tablet. The no-frills option, but not a bad tablet by any means. The iPad mini is the iPad for people who want something that’s a little more discreet than Apple’s other options. This model has a 7.9-inch display, and although that’s not a pocketable size for most, it splits the difference between an iPhone and a larger tablet. If you like to read, watch movies, or play games, and want something bigger than your phone but smaller than a laptop, this is a good option. Apple’s 2019 refresh injected some much-needed life into the tablet, which hadn’t received an update since 2015. The latest version has an A12 Bionic processor, meaning that it’s now in the same performance ballpark as Apple’s 2018 iPhones, including the iPhone XS and iPhone XR. The iPad mini starts at $399.99 for the 64GB configuration; quadrupling the internal storage will cost $100 more. Despite its powerful internal hardware, the iPad mini still hangs with the cheaper 9.7-inch iPad in terms of its limited feature set. It also has first-generation Apple Pencil support, and you’ll need to leave it clumsily plugged into its Lightning port to charge. Also, like the cheapest iPad, there’s no Smart Connecter, so you’ll have to use Bluetooth to pair a keyboard. These are somewhat minor gripes — and honestly, they may not even register as issues to some — but they are important to consider when paring down your options. 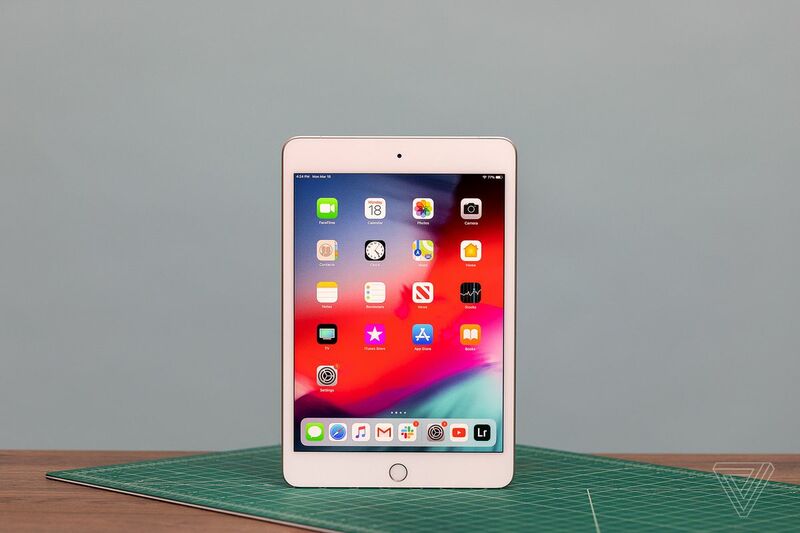 With the new iPad mini, you get basically the entire feature set of the new iPad Air in a smaller package with more and better tablet app support than anything else on the market. If you are the sort of person who wants a powerful small tablet, the new iPad mini is the best choice, full stop. It’s basically the only choice. This mini tablet got a powerful upgrade for 2019. 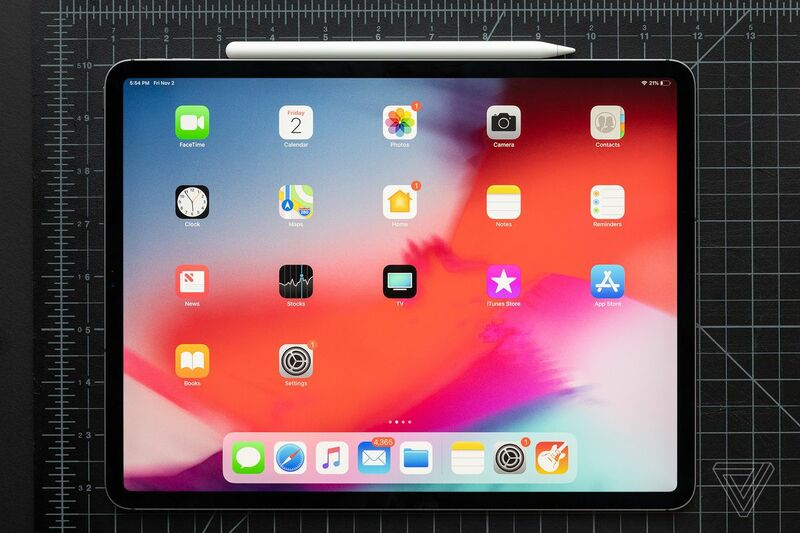 The new iPad Air is the entry point to most of Apple’s premium tablet features, and it’s similar to the previous-generation iPad Pro tablet in more than a few ways. First off, the Air’s screen is now 10.5 inches versus the 9.7-inch displays found in older Air models. It also cribs the older Pro’s True Tone display, which automatically adjusts its color temperature to the ambient lighting in your work space. The Smart Connector found its way to the Air as well, which makes it easy to connect one of Apple’s keyboard accessories (if you buy one, that is). Like the cheaper iPad options, the Air is still limited to the first-generation Apple Pencil that charges via its Lightning port. And while many features found in the older iPad Pro made their way to the new Air, the quad speaker setup did not — the Air has two speakers. If that’s bothersome, you should consider checking out Apple’s slightly older 10.5-inch iPad Pro, which has four speakers and a ProMotion display that has a faster refresh rate. So, as long as you’re all right with an older processor, you’ll save a good amount of money. Best Buy currently offers it for $499, and Apple sells refurbished iPad Pro tablets starting at $419. On the other hand, compared to more affordable iPad options, the new iPad Air is the most capable tablet in terms of features. It runs on the same A12 Bionic processor found in the new iPad mini, iPhone XS, iPhone XS Max, and iPhone XR. As such, it should remain a fast-performing tablet for several years to come. And, starting at $100 more than the new iPad mini, it’s a good choice if you want a lot of screen real estate. With the iPad Air, most of the features that most people really want from a Pro machine become available without paying Pro prices. The iPad Air floats in the middle of the iPad lineup, and if you can afford it, you should get it over the basic iPad. It’s $100 more than the mini, but with more screen and more features. Apple’s most recent iPad Pro is the biggest design overhaul yet to the iPad, but at a steeper cost than for any other model: the 11-inch tablet starts at $799, while the 12.9-inch version starts at $999. Like the iPhone X, the latest Pro pushes the bezels straight to edge of the screen. Similarly, the Pro authenticates your identity with Face ID instead of Touch ID, and since it’s lacking a Home button, you’ll be navigating iOS exclusively with gestures. Both the 11-inch and the 12.9-inch models have a True Tone display that adapts the screen’s color temperature to the light in your environment, as well as the ProMotion feature that makes scrolling and other animations appear smoother. Like the iPad Air and previous-generation iPad Pro, the 2019 iPad Pro has a Smart Connector port so you can easily connect one of Apple’s keyboards without having to pair over Bluetooth. The tablet has four speakers, and it supports the second-generation Apple Pencil that magnetically attaches to its side to charge. Perhaps the biggest difference between the iPad Pro and the other iPads is that it uses USB-C instead of a Lightning port. If you have a fleet of dongles and accessories that connect using Lightning, you’ll need to pony up again for more. However, if this is your first iPad, or if you’re moving from an Android device, USB-C isn’t a bad way to go. It’s already part of Apple’s Macbook Pro and new MacBook Air, and is rapidly gaining adoption around the tech industry. As a result, prices for USB-C accessories are likely cheaper than equivalent accessories that have Apple’s MFi certification. 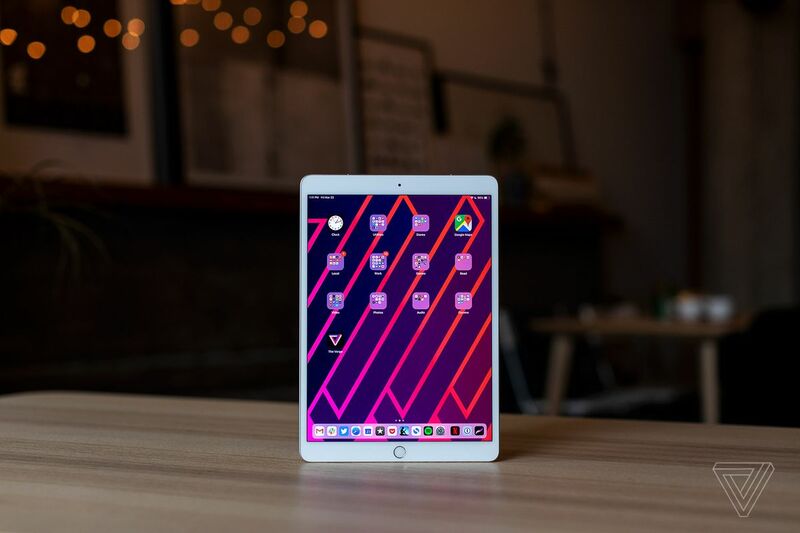 In terms of performance, both the 11-inch and 12.9-inch iPad Pros feature the A12X Bionic processor, which is a step ahead of the A12 Bionic that’s found in Apple’s other iPads (except for the cheapest iPad option, which uses the older A10 Fusion processor). If you want to use the iPad Pro as a laptop replacement, there’s certainly enough power here for you to do that. Though, as Nilay Patel’s review points out, the Pro’s ambitions is dampened by its use of iOS. And if all you want is a really good iPad, your experience with the iPad Pro will not be that different from some of Apple’s more affordable tablets. But if you’re thinking about spending $799 on the cheapest 64GB 11-inch iPad Pro to replace your laptop, you should really ask yourself what you need a computer to do. There isn’t a single other tablet on the market that can compete with the raw hardware of the iPad Pro, and there aren’t many laptops that can either. But Apple’s approach to iOS is holding that hardware back in serious and meaningful ways, and while USB-C makes life with this new iPad Pro slightly easier, it still has the same basic capabilities and limitations of last year’s iPad Pro.